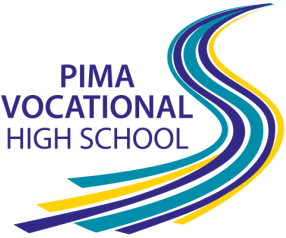 Pima Vocational High School (PVHS) is a public charter school, accredited by Advance Ed (formerly known as North Central Association) that welcomes youth ages 16 to 21 who want to meet Arizona State requirements for a high school diploma and obtain a sustainable job through career-oriented work experience in an applied academic setting. The PVHS program targets students who have previously dropped out of school or are at risk of not completing high school and provides on site supportive social services to enable the students to take responsibility for their own education, career and life choices. The school’s comprehensive programs are provided within a small school learning community utilizing best practices for reconnecting out–of-school youth. Staff trained in differentiated instruction with high interest, hands on curriculum to accommodate students’ lower entry skills and transition them to meet Arizona State academic standards for high school graduation. Staff trained to mentor students and model vocational skills needed for successful and sustainable employment. A calm, structured, non-punitive environment that fosters individual problem- solving skills enabling students to take responsibility for their own education, careers, and life choices. Strong partnerships with multiple community resources that assist students to learn a pattern of self-reliance for themselves and for their small families.